Leigh Whannell has been a household name in horror ever since his screenplay for Saw took Sundance, and then the box office, by storm in 2004. Since then, his writing has been a key part of the new dawn of low budget horror flicks that are in turn genuinely scary genre films. His writing credits include various Saw’s, various Insidious’s, Dead Silence, among others. His first directorial effort, Insidious 3 was a surprisingly fresh take after a subpar Insidious 2. 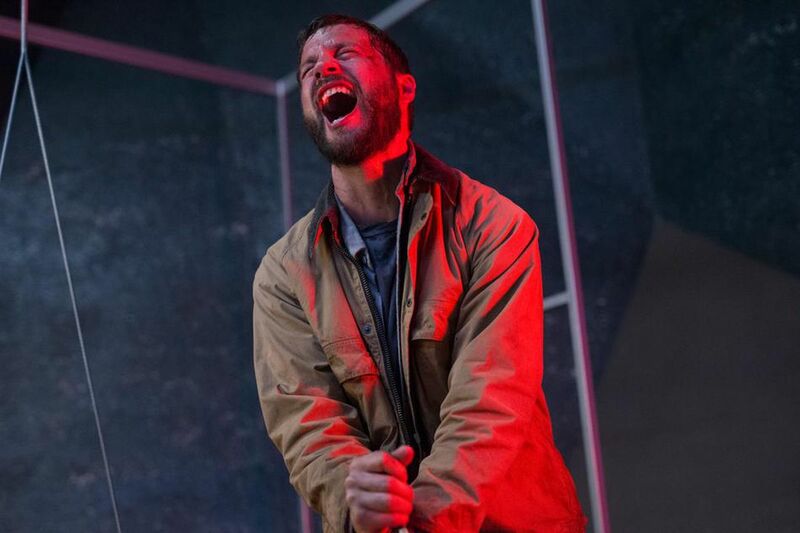 Sure, the 2015 flick was finely-directed and smartly-written for the third installment in an average horror saga, but it wasn’t a real showcase for his capability as a filmmaker; Upgrade is. Upgrade is a Blumhouse film that also feels like one; a compliment to the film and to producer Jason Blum. The film is just as clever an AI (artificial intelligence) flick as some of the classics (Ex Machina, Blade Runner), but also isn’t trying to prove how much smarter it is than you. Superbly directed, exceptionally written, carefully choreographed, and just plain entertaining to watch; the film is straightforwardly up for one of my favourites of the year. If Upgrade is a tell for what the future of Whannell’s newfound direction and matured writing will become, then he is officially on my list of most anticipated filmmakers forthcoming. Upgrade tells the story of Grey (Logan Marshall-Green), a man who has lost everything in his life after an accident, including the use of his body. As a quadriplegic, he’s given a chance to have the use of his limbs returned by a piece of untested medical technology called STEM. STEM comes with a bit more features than he, or the creator of the product Eron (Harrison Gilbertson), expected; including increased physical abilities. Logan Marshall-Green (Spider-Man: Homecoming, Prometheus), our protagonist who we spend almost every scene with, gives a surprisingly deep performance. A single shot of him breaking down while his mum trims his beard after his accident is just as powerful as it’s meant to be, unforeseen, yet appreciated in a film such as this. As you may be able to see in the gif below, Marshall-Green is asked to conduct unreasonable action choreography with a scared/disgusted look on his face; a play I’ve never seen before and isn’t just impressive as all hell, but absolutely hilarious. His performance probably won’t garner many accolades apart from my review, but I wouldn’t have been remised to not mention it. I went in more or less blind (not knowing much about the film and the plot) save for the cast and filmmaker and think that vastly helped my love for the flick. The plot unravels like a crime thriller and has twists and turns that are genuinely inspired. The idea of the story may not seem like one of the cleverest to some, but to this critic its original and really gets down to the basics of technophobia and our reliance on computers. And with that, Whannell’s script is as clever and witty as it should be. The humour and quipping landed nearly every time and weren’t overabundant to the point of a fault. It’s not Annihilation (which rarely gives you any answers) yet it’s also not quite Inception (a great film, but one that spits our exposition like they’re sunflower-seeds); Upgrade finds a perfect balance between the fun an action flick should possess and the science a sci-fi picture should focus on. Also, I can’t find a crafty transition, but the world-building is one of the greatest I’ve seen for futuristic Utopia’s/Dystopia’s. It’s just foreign enough to know what’s changed but sufficiently familiar to feel relatable. The action, which should be present in the gif above, is literally unlike any I’ve seen before. The choreography is meant to be unnerving since it’s literally like fighting a computer, but I am baffled at how they were even able to film most of it. The camera work with it is so original and compelling I was enthralled more than I probably should have been in the story. It’s hard to put into words, nor do I want to spoil the magic of it, but those who see it will notice the spectacular cinematography; way past its budget. This film is, to me, nearly the Apex that indie sci-fi should strive for, following the in the steps of great contemporary genre films like Primer, Europa Report, and Coherence. Many might say that this can be waited on to see at home since it’s not a popcorn blockbuster; which is exactly why indies are a dying breed. Get out there, spend that ten dollars, have a great night with friends and support great films like Upgrade and great filmmakers like Leigh Whannell because if we don’t, soon they’ll be gone.